Apollo arrived at Big Cat Rescue with Zeus from a Canadian fur farm on 6/24/97. 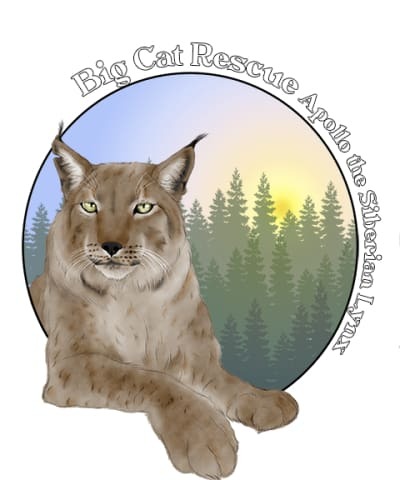 Big Cat Rescue started in 1992 with the rescue of a single bobcat, named Windsong, which led to rescuing 56 bobcats and lynx the next year from a fur farm. More than 100 exotic cats were rescued from being turned into fur coats under the agreement that Big Cat Rescue would pay top dollar for every cat if the fur farmers would stop breeding cats for their fur. He and his friend Zeus shared a large shady enclosure. Although, you would not normally find two adult male lynxes living together in the wild, in captivity this is actually a form of enrichment, if they have been raised together. Sadly Zeus passed away in 2016.